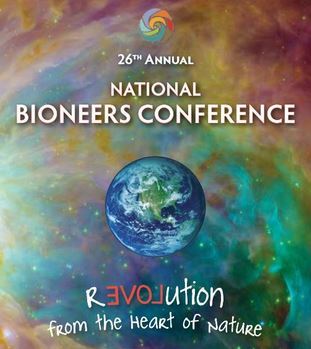 For 25 years, the National Bioneers Conference has connected thousands of people with practical, visionary solutions for humanity’s most pressing environmental and social challenges. The 2015 Bioneers conference will dramatically show how world-changing breakthroughs may be closer than they appear. The big wheels of ecological and human governance are turning. These evolutionary exclamation points unleash powerful forces of destruction and creation, collapse and renewal. When huge shocks transform the landscape, structures and institutions crumble, releasing tremendous amounts of bound-up energy and resources for renewal and reorganization. It’s also a period of creativity, freedom, and transformation. Novelty emerges. Small changes can have big influences. The name of the game is building resilience – for both nature and human organization. These times belong to those who learn, innovate, and adapt. Seeds of new solutions appear with the times.